The Grado GS1000 series has pretty much been king of the headphone hill, cited by one reviewer as "The finest electricity-to-sound transducer in the world". Grado could have stopped right there but this month they release the GS2000e, expecting to put even more space between themselves and the competition. Wooden headphones and phono cartridges are killing it in the digital age. Grado Labs of Brooklyn produces the finest on the planet, but they are also notable for what they don't produce… hype. We received a pair of their new GS2000e headphones with little more than a brief description and some specs. 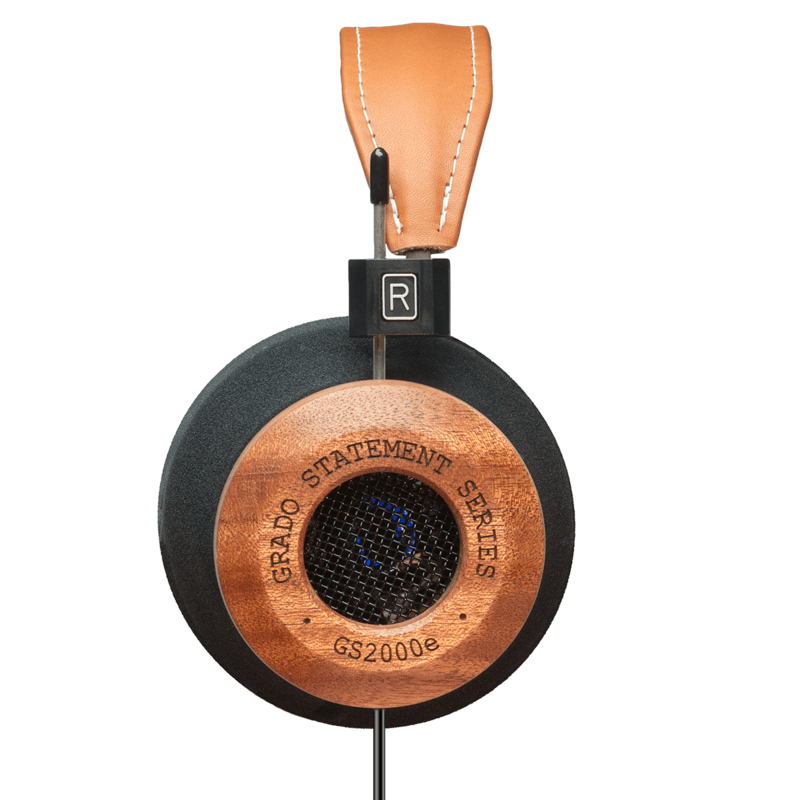 Grado Labs is a small family run company founded in the 1950's by audio hall-of-famer Joseph Grado. The company is now headed by Joe's nephew John, with an assist from brother Rich, and joined in recent years by his son Jonathan. With a couple handfuls of employees tucked away behind a signless graffiti-laden door in Brooklyn's Sunset Park these refugees from the analog age play David to the Goliaths of the audio industry. The GS2000e are somewhat akin to musical instruments. Tone-woods are called such because different varieties of wood resonate with their own personalities. Maple is known for extremely bright, precise tones with tight lows. Mahogany's tone is warm and balanced with a good bite. These two woods are frequently used together in guitars to take advantage of the best tonal properties of both woods. Grado is doing just that by sending an ultra-clean signal into a 50mm driver to resonate in a carefully crafted tonewood space. Maple is used for the inner chamber, next to the driver, and Mahogany forms the larger outer chamber which creates a 'listening room' around your ears. An expanded frequency range of 4-51,000 hz is delivered through 12 conductor ultra-pure copper cable and gold plated connectors. It doesn't get any better than that. I compared my older, well seasoned, GS1000 headphones to the new GS2000e to learn whether the improvements actually make it to the ear. Everybody has their favorite record for trying out headphones (John Grado likes Clapton's 461 Ocean Boulevard). Nashville Skyline is mine, I like hearing Johnny Cash breathe on my left as Bob Dylan finds a fret on my right. I also tested some recent digital music, Bruises by Band of Skulls, which is typically compressed for the download age. The differences were subtle but noticeable. The vocals separated better from the crunch guitar, and I felt more breadth to the soundstage. At low volume the bottom end was definitely more impactful. I also listed to Fiona Apple and her piano on Love Ridden, and Pavarotti's O Sole Mio. In all three cases I noticed that small variations in the singer's natural dynamics had more presence; feeling the singer move slightly in relation to the mic as their voice rose and fell added a new dimension beyond stereo separation. The difference wasn't as dramatic as peeling away an onion layer, but I wouldn't go back either… I'm gonna say these are 8% more awesome. If you're accustomed to digitally compressed music pumped into a pressurized closed-back headphone, Grado GS2000e will be a revelation for you. At $1,395 the GS2000e is a substantial investment, yet far more affordable than anything else in this class.